One of the biggest problems in conducting clinical trials successfully is patient recruitment. Another challenge is assuring diversity in clinical trials enrolment which is essential for eliminating health disparities as low enrollment and participation of racial/ethnic minorities and underserved patients affects the generalisability of research results for these groups (Baquet). Many factors affect enrolment into clinical trials such as race, socioeconomic status, access to healthcare, and cultural beliefs (Baquet). How the pharmaceutical industry is viewed along with participating healthcare professionals is also a major factor. According to Shavers-Hornday et al., and Harris et al., limited access to information on available trials by the general public, a lack of understanding and knowledge of the role of clinical research in the development of interventional treatment, coupled with existing attitudes toward research, including mistrust of researchers or research institutions, perpetuate existing fear, influence participation off African American patients in the US. Transposed to Eastern Europe, especially in those countries with history of conflict between state and the people, those fears are palpable and may play a role in the enrolment of patients into clinical trials. Since the majority of large pharmaceutical companies are based in the West, practices are generally created to suit those Western countries. For example, in Western countries the initial stages of investigator identification, selection and recruitment are often automated and no contact is made with any person until the data from the Investigators’ online questionnaires are analyzed. 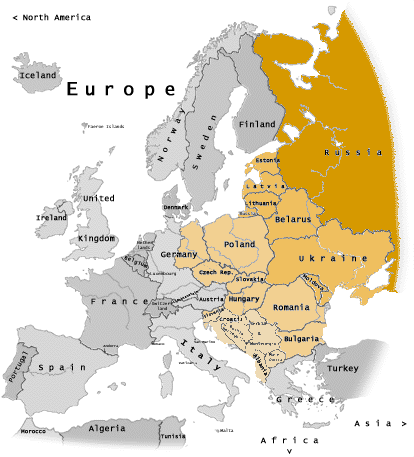 In contrast, the process in Eastern Europe typically involves interaction with people from start to finish, over the telephone and in person, in the language of the land (Niedzielska). Therefore, creating a culturally appropriate enrolment system of communication and education for pharmaceutical companies, health practitioners and patients is key to improving the buy-in from patients to overcome any issues stopping people taking part in clinical trials. Ideas and techniques can be garnered from those implemented in Western countries. A holistic approach involving patients, their families’, clinical specialists, nurses, surgeons, social workers, and primary care providers in the recruitment process will ultimately improve patient participation. Educating patients and their families about the benefits and risks of relevant clinical trials are essential to overcoming any fear-based barriers. Ensuring that healthcare professionals’ are involved from the start plays a big part in patient confidence. Educating people via all popular channels of communication, and involving all parties throughout the recruitment process will help build relationships. Since culture is evolving in tandem with advancing technology, the role of social media is taking on a more prominent role, with infomercials on YouTube, that are shared over Facebook and Twitter for example. Coupled with traditional forms of communication such as word of mouth, advertisements, and relationships throughout communities, this combination can be very powerful. Consequently, a holistic but personalised approach will help improve the rate of patients enrolling and committing to clinical trials until completion. Shavers-Hornaday VL, Lynch CF, Burmeister LF, Torner JC. Why are African Americans under-represented in medical research studies? Impediments to participation. Ethn Health. 1997;2(1-2):31–45. Harris Y, Gorelick PB, Samuels P, Bempong I. Why African Americans may not be participating in clinical trials. J Natl Med Assoc. 1996;88(10):630–4. This entry was posted in Central and Eastern Europe, Patient Enrolment. Bookmark the permalink.